The TSC- TTP-244M Pro series is the price leader in its class, delivering top-of-the-line speed and efficiency, with print speeds up to 102 mm per second (4 ips) and a large 4 MB Flash plus 8MB DRAM memory capacity. 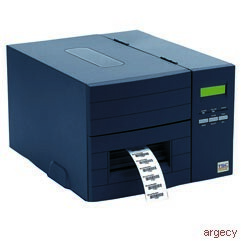 It supports a wide print field - up to 4 inches - and offers a choice of either 203 dpi or 300 dpi resolution. The TTP-244M Pro series is backed by a 2-year warranty and features a heavy duty steel enclosure and internal assembly designed for extended high-volume use in industrial environments.